In a world dominated by who has the most stylish kit, at FOOTY.COM we’ve taken a look back at some of the greatest kits. Retro style kits at their best. In this day an age of colourful and somewhat expensive football kits, a retro shirt can seem very appealing, a classic look for a bargain price that will last you years. We are going to give you a run down of our favourite international retro shirts! The highest point England have ever reached, the 1966 World Cup. Defeating West Germany in the final 4-2 after extra time, with Geoff Hurst netting a hat-trick. 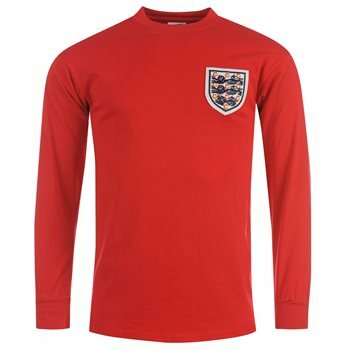 Many kit makers have tried to recapture the classic nature of this kit over the years, perhaps Umbro coming closest in 2010 but this will forever remain a classic for the pub while watching England. 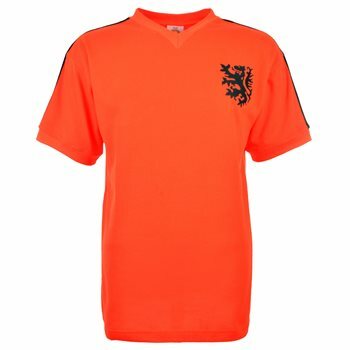 The runners up of the 1974 World Cup, Holland won our hearts in the fashion department and footballing. Legends like Johan Cruyff, Wim Jansen and Ruud Krol showed us the totaalvoetbal which has been the blueprint for so many great footballing teams since such as Barcelona’s “tika-taka” approach. 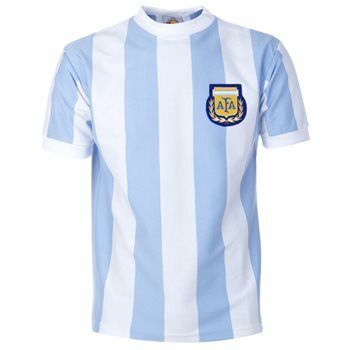 This shirt is a classic and Nike have even tried to replicate it at last years World Cup. Italy were totally dominate at Espana 82, they won their third World Cup and showed the world just how good they were. Lead by the legendary Paolo Rossi who took home the Golden Boot and Golden Ball. Beating Argentina, Brazil, Poland and West Germany in style. 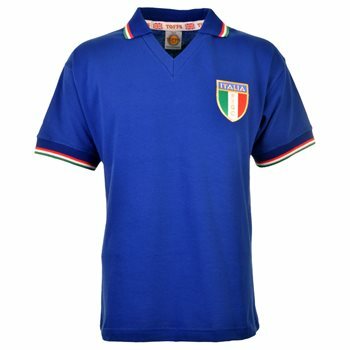 We kind of wish the Italians kept wearing these instead of the latest skin tight numbers, much more classy. The exponents of the beautiful game, the undoubtable kings of world cups. Brazil have given joy to millions of football fans around the world with their samba style. 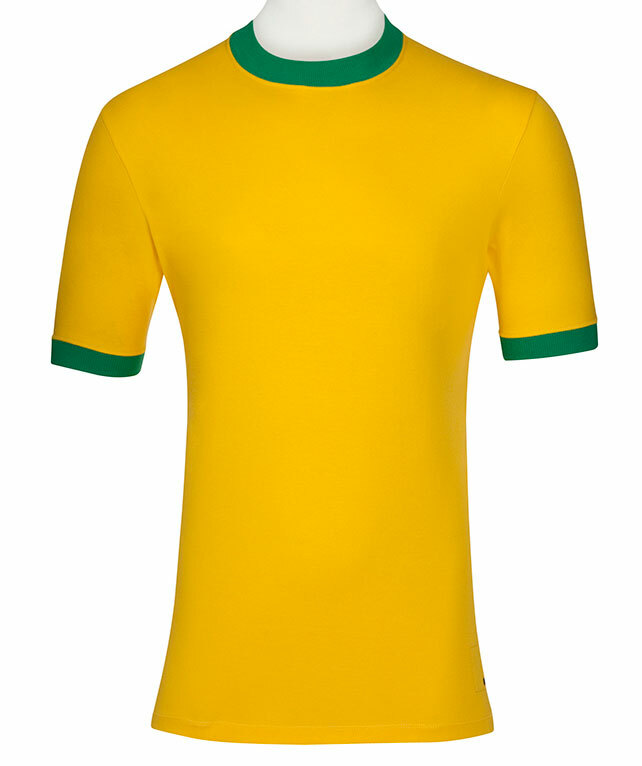 Campo Retro have capture the classic style of a Brazil shirt and delivered a top notch product, easy to wear to the pub, office or on holiday, maybe even to Brazil! Mexico 86, perhaps famously remembered for the “Hand of God” scored by Diego Maradona. Who then went on to score the “Goal of the Decade” in the same match against England. Argentina went to win their 2nd World Cup after beating West Germany 3-2 infront of 114,600 at the Estadio Azteca, not a bad crowd. We have really enjoyed putting this list together, the adventures back in time to restudy world cup triumphs and heartbreaks. These kits are classics and will never be out of fashion whether you’re on holiday or just down the pub. Think we have missed a great retro kit off the list? Why not leave a comment!